0/3: If you just hear the name “E Stunner” you might think it’s an electronic thingamajig or… maybe something else. It’s none of that; it’s a cigar put out by the much respected EP Carrillo cigar company and I think they promise that this cigar has a good amount of kick to it. Well, lets see. After picking up one of these cigars the first thing you will notice is that it is a very oily cigar. Visually, it’s nothing spectacular. It’s a mottled combination of medium to dark brown colors with some very light areas running along the veins. This combination of colors makes an ashy visual impression. This is not a tightly packed cigar but the packing is consistent. It looks and feels like it was put together well (it is a Carrillo after all). Right before I lit this cigar I noticed that there’s an image of a bull’s head on the band, which, when coupled with the name, all points to this being a very strong cigar. I’m just hoping it tastes good. 1/3: There’s grass and red pepper going on in the beginning. It quickly progresses into including cherry and my overall impression of the cigar’s flavor profile is sweet spice. Pretty straightforward but nice all the same. 2/3: Cherry takes on more prominence during this third but there are still some red pepper notes through the retrohale and a bit of oak as well. 3/3: Cherry, earth and some coffee are coming through during the final third. The cherry is the strongest flavor and it’s good but everything else is pretty average. 4/3: Medium bodied with a good draw and burn; the E.P. Carrillo E Stunner is a decent cigar but it doesn’t have the level of refinement that other Carrillo cigars are known for, like their Elencos cigars. It wasn’t even a full bodied cigar, which is something they were going for. This is a cigar you can miss. Barry from Miami Cigar & Co. asked me to do this so I’m going to do it. 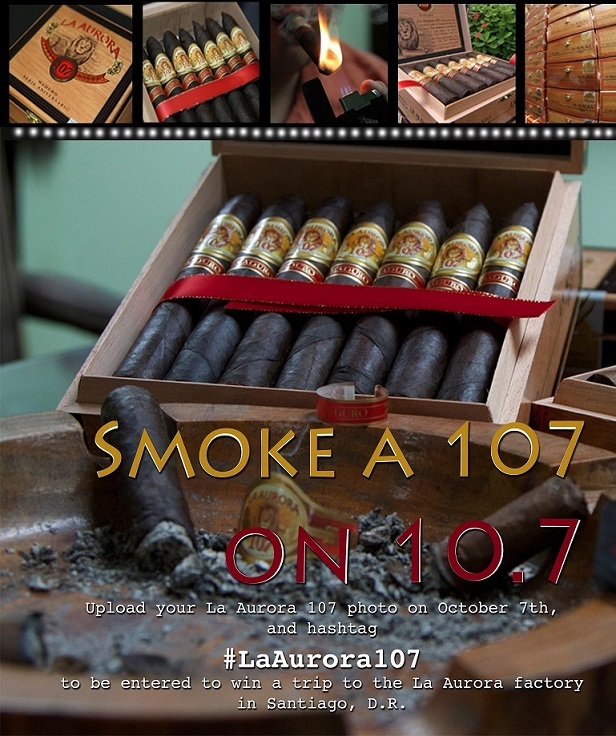 On October seventh you should upload a picture of you smoking a La Aurora 107 (I suggest the corona or the robusto) in honor of Smoke a 107 Day. Why do this? 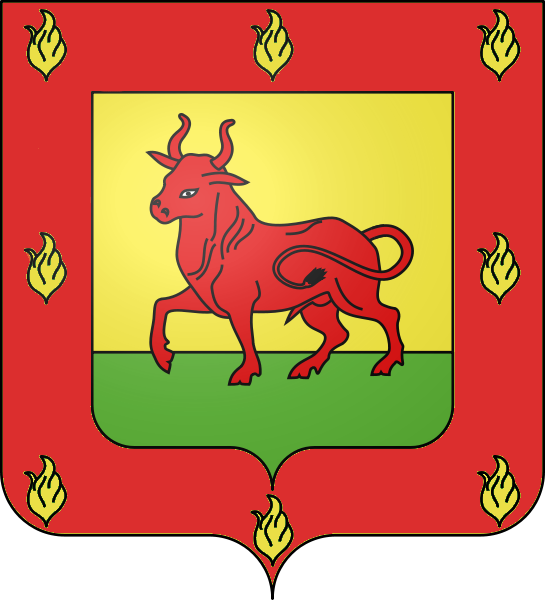 After all, this is a lot of work as it requires a couple of clicks on your phone (take a picture of yourself smoking a La Aurora 107 and upload it with the hashtag #LaAurora107 – I guess that’s technically a few clicks). Well, it looks like someone will win a trip to the Dominican Republic to tour the La Aurora factory. I’ve been to their factory and it’s pretty damn awesome. So do it!